Thank you to all who came to the potluck fundraiser on Sunday, May 1 in support of the Red Bird Mission trip slated for 2017. If you couldn’t make it but would still like to donate, please contact info@mingoumc.org. 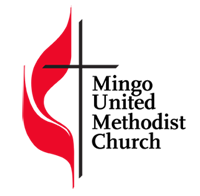 The Mingo UMC supports the Red Bird Mission and Clinic by providing donations and volunteering support to the ministries in this region. Today the need remains critical in this isolated, rural distressed area. Chronic poverty, lack of jobs, poor housing, and rugged mountainous terrain provide obstacles to a fuller life for the residents of this area. Red Bird Mission and Clinic strives to meet these needs through ministry in five areas: Education, Health and Wellness, Community Outreach, Economic Opportunity, and Community Housing Improvement. The Education ministries are carried out through a K-12 school and an early childhood development program for 3 and 4 year-old children. These education ministries provide the opportunity for the children and youth of this community to get a quality education in a loving Christian environment empowering these young people with tools that will help them escape this cycle of poverty in which they are exposed to and live in daily. Health and Wellness ministries are provided through medical and dental clinics providing quality health and dental care in an area that is chronically underserved. In addition to in-Clinic visits, our providers travel to the homes of our patients to provide care to those that are home-bound. The other three areas of ministries provide a wide variety of services to the residents of this area. Volunteers in mission service come and help with the refurbishment of homes, low-cost clothing and furniture is provided through the community store and local crafter’s wares are marketed to a wide area through the craft marketing ministry. A wide variety of ministries to families, older adults, women and children, and youth make their lives fuller and help them receive the assistance they need to make their lives a bit more livable. Support for these ministries come from churches and individuals across the nation. 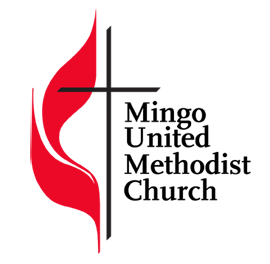 Over the years the Mission has enjoyed wide support in The United Methodist Church as well as from other denominations. In recent years we have seen a decline in the support we are receiving. We are currently facing a financial crisis that is making it difficult to continue all the areas of ministries we provide. Without more funding today, we will have to reduce the level of ministry provided to this community. Your donations to Red Bird Mission and Clinic will help us continue these vital ministries in this distressed region of Appalachia.